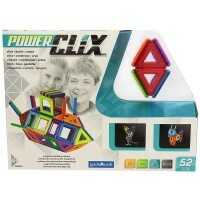 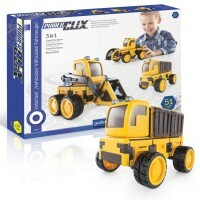 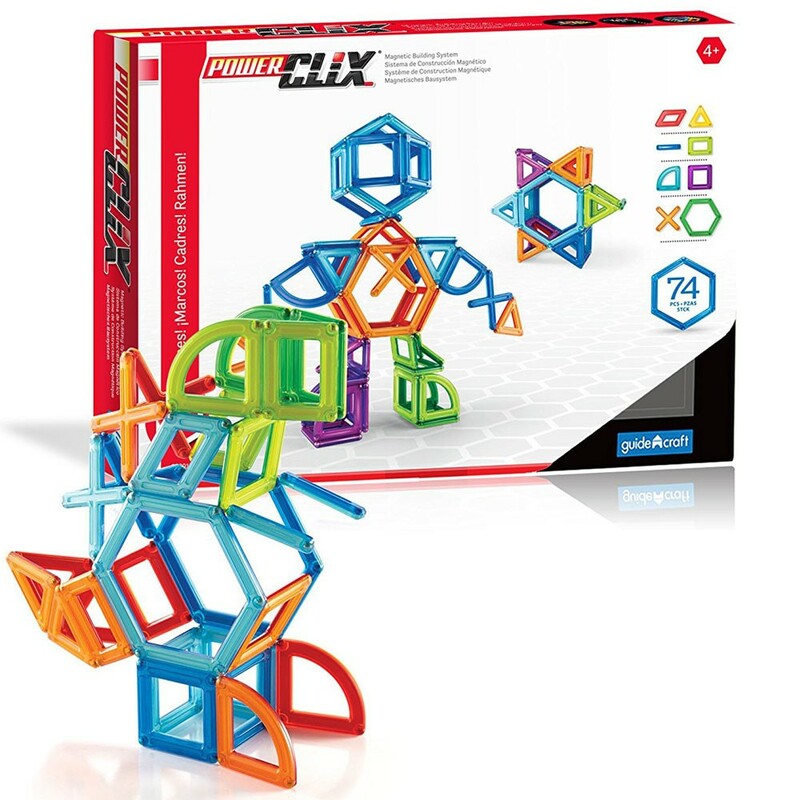 This new educational 74 pc Power Clix construction toy from Guidecraft features the 3D magnetic building system that allows kids to explore and build colorful patterns and models. 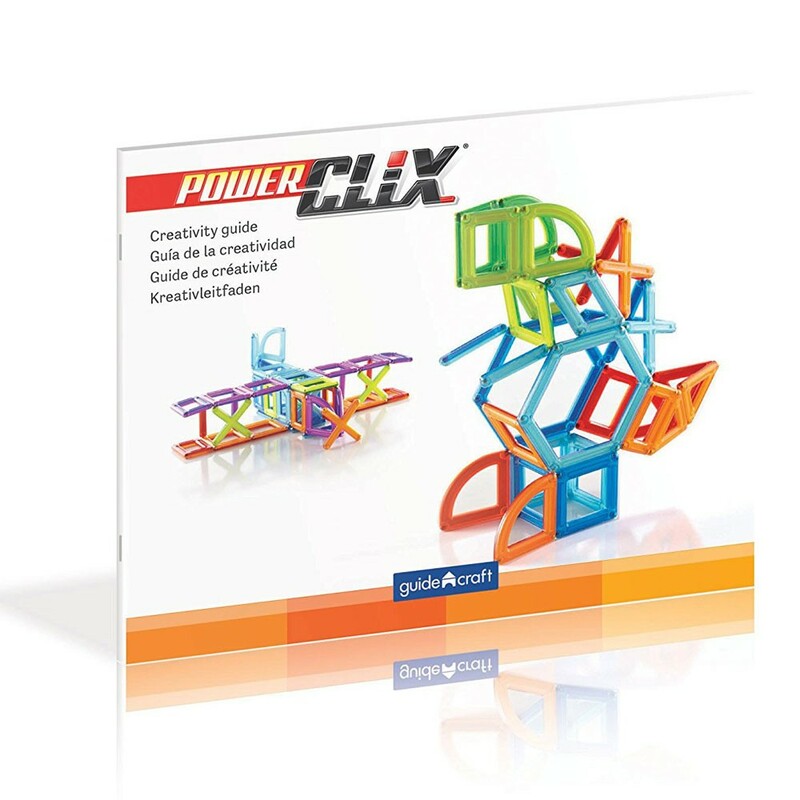 PowerClix building sets by Guidecraft feature the 3D magnetic building system that allows children to explore and construct unlimited models. 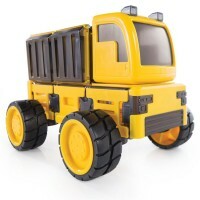 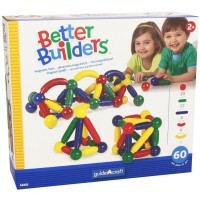 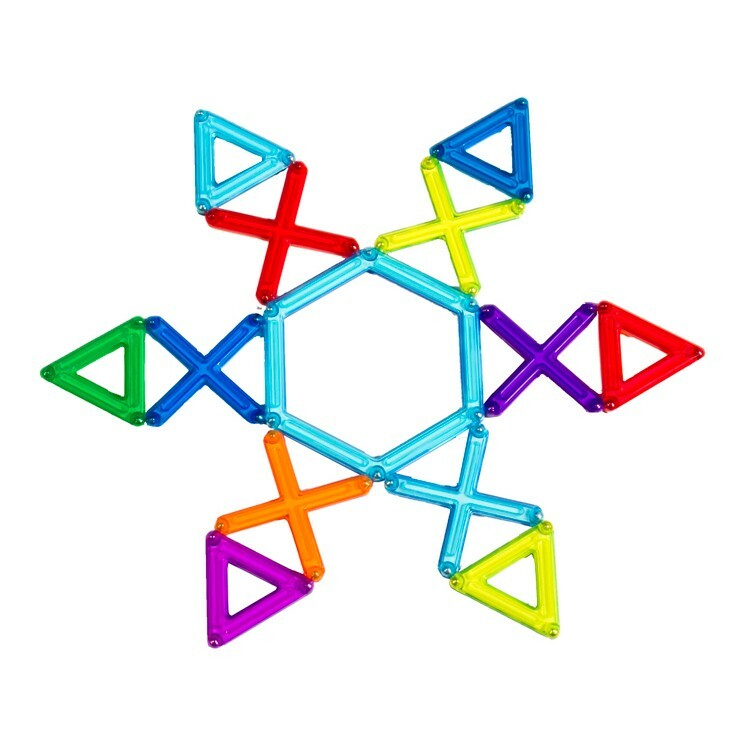 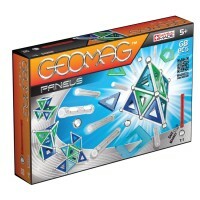 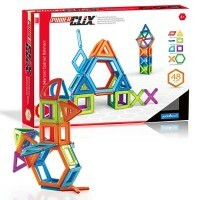 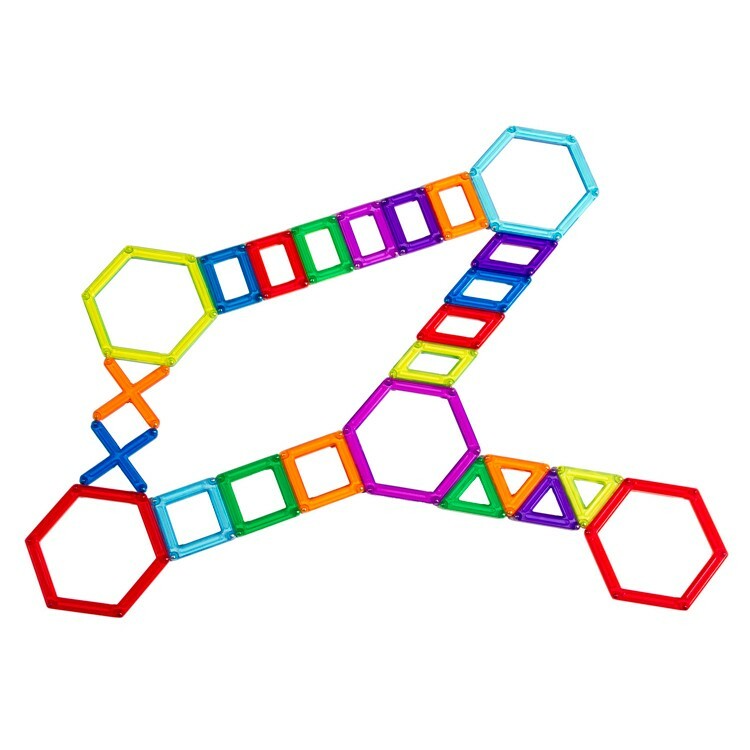 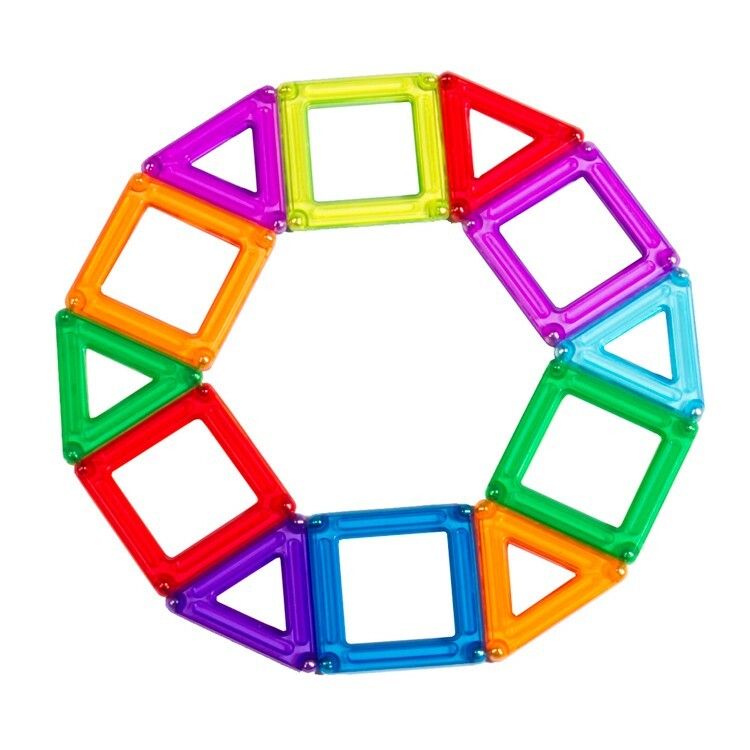 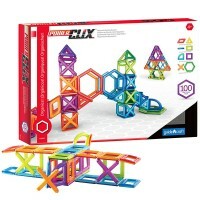 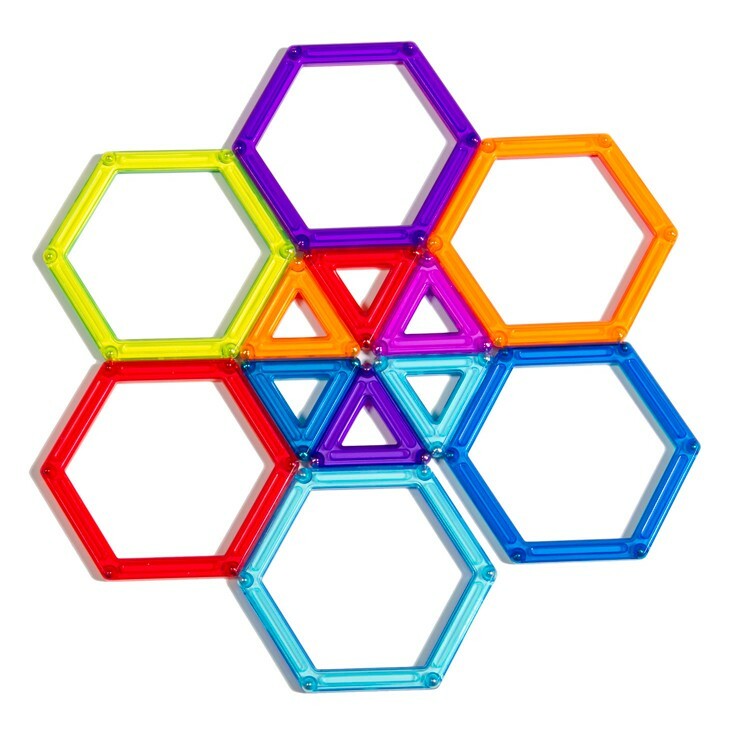 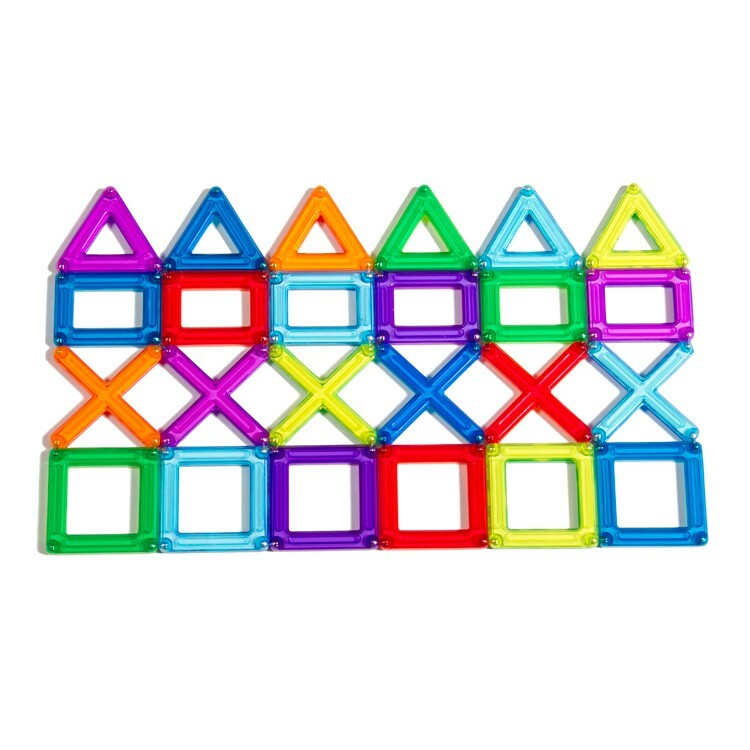 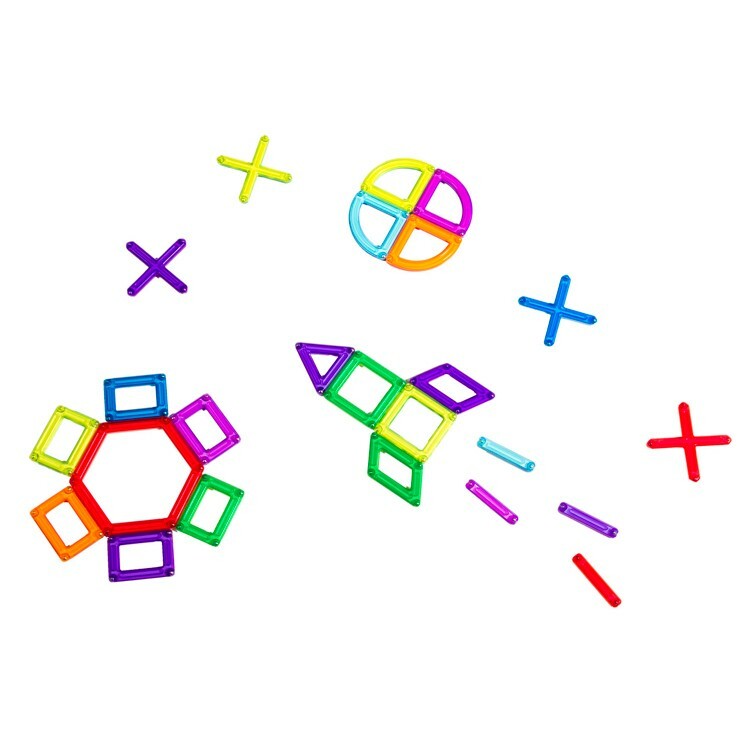 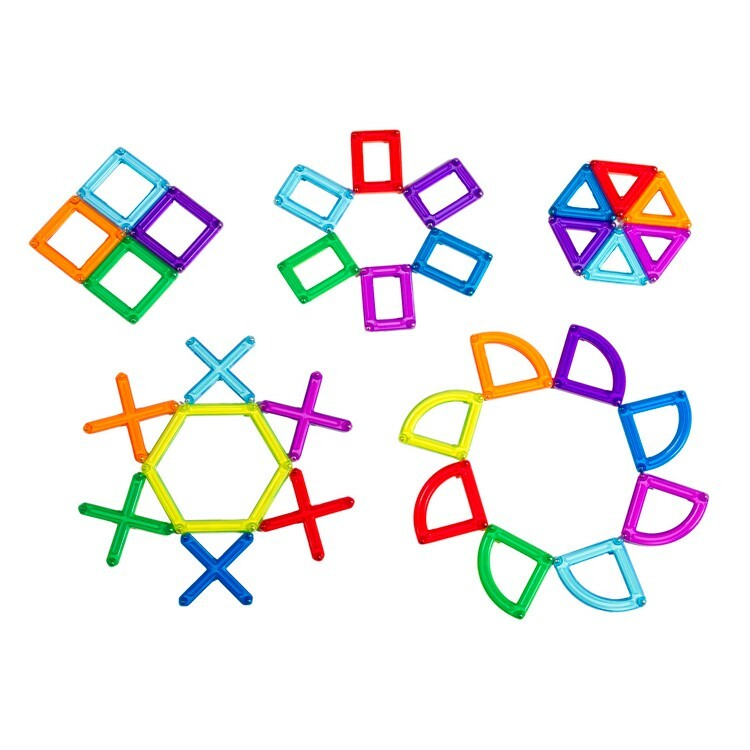 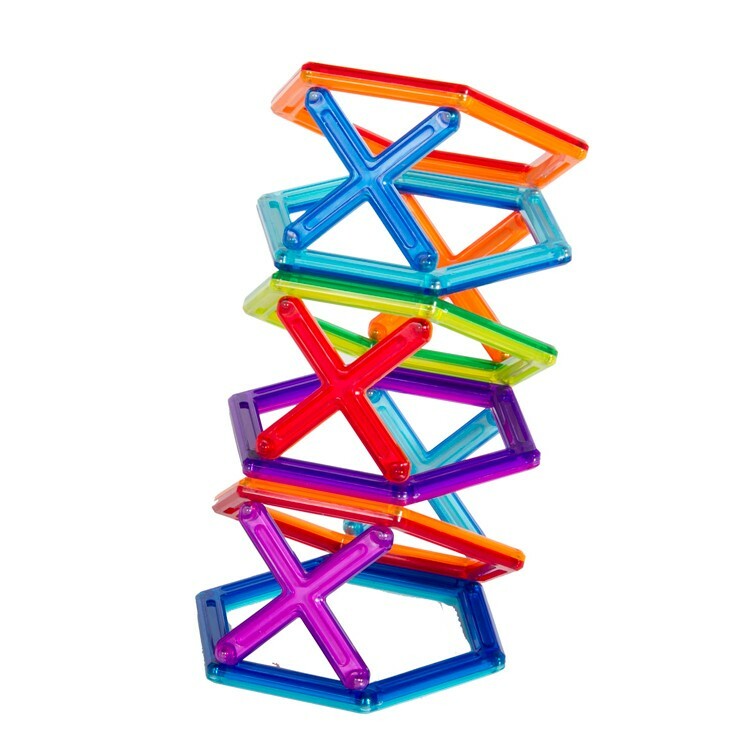 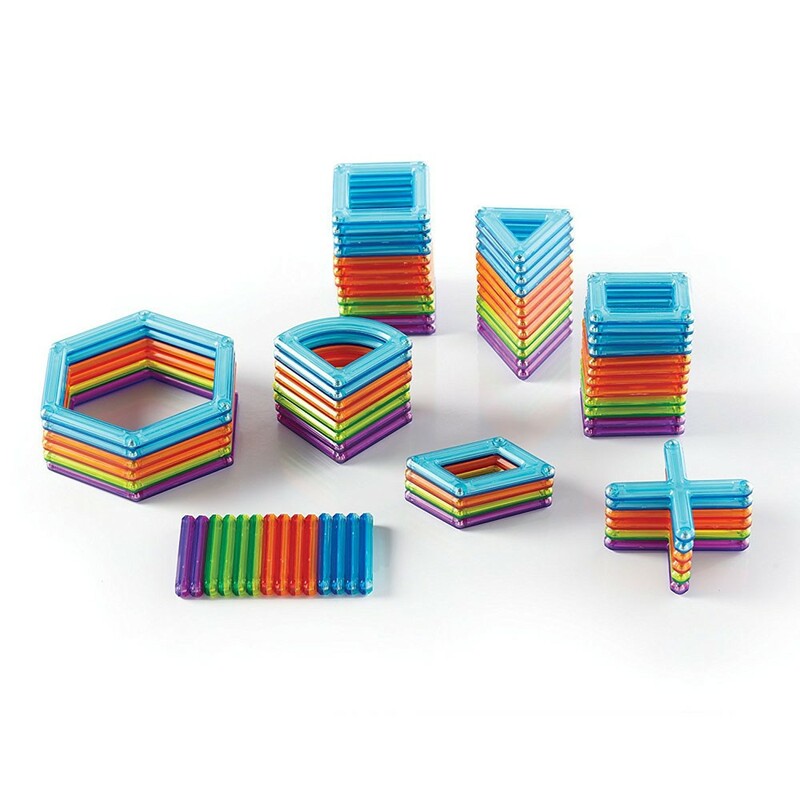 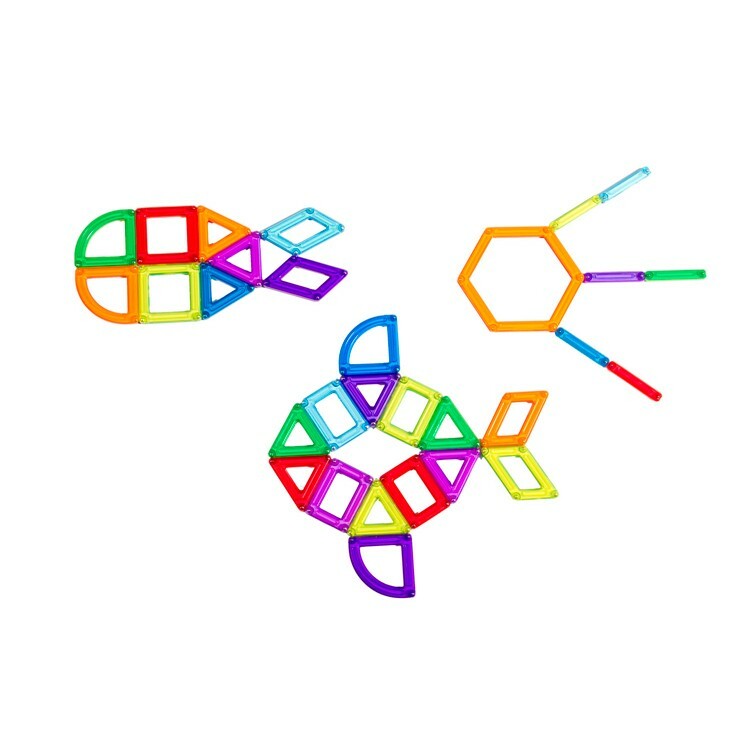 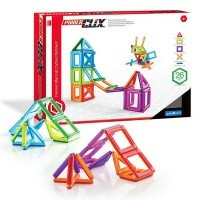 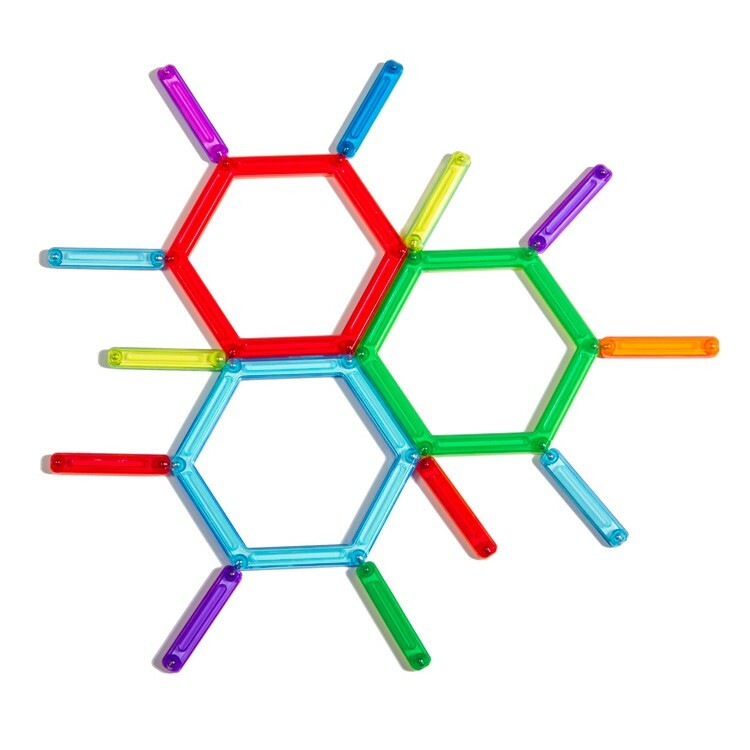 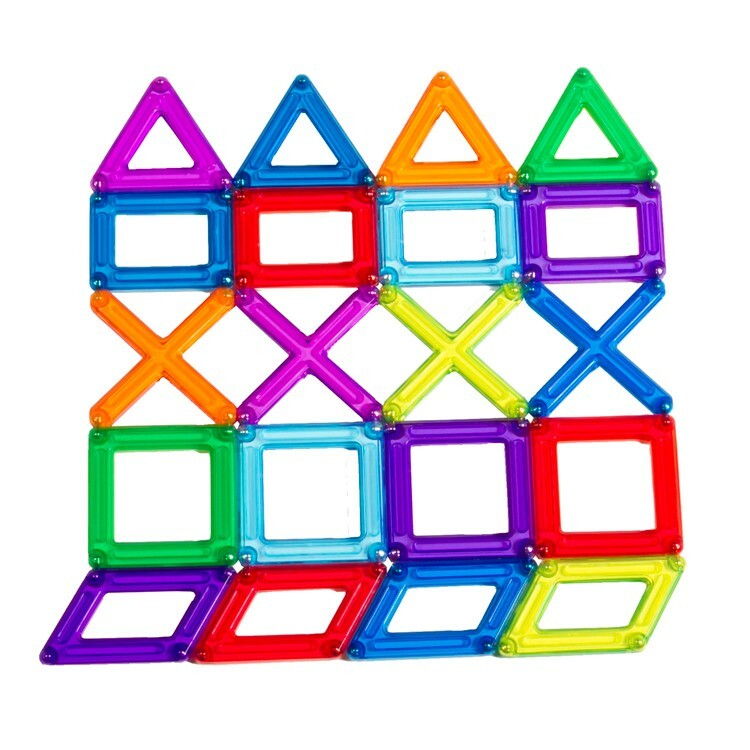 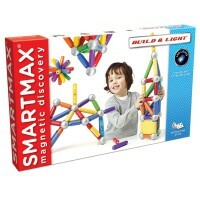 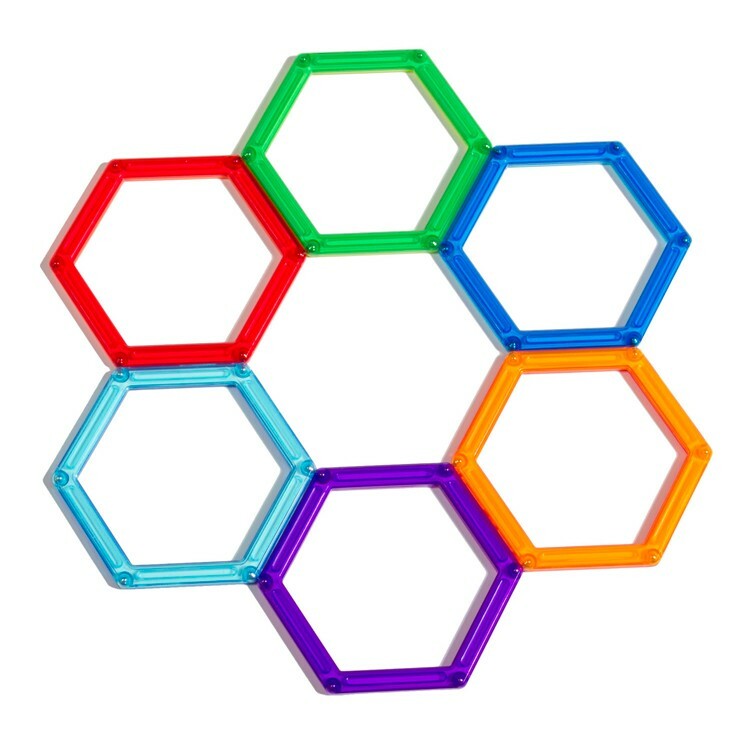 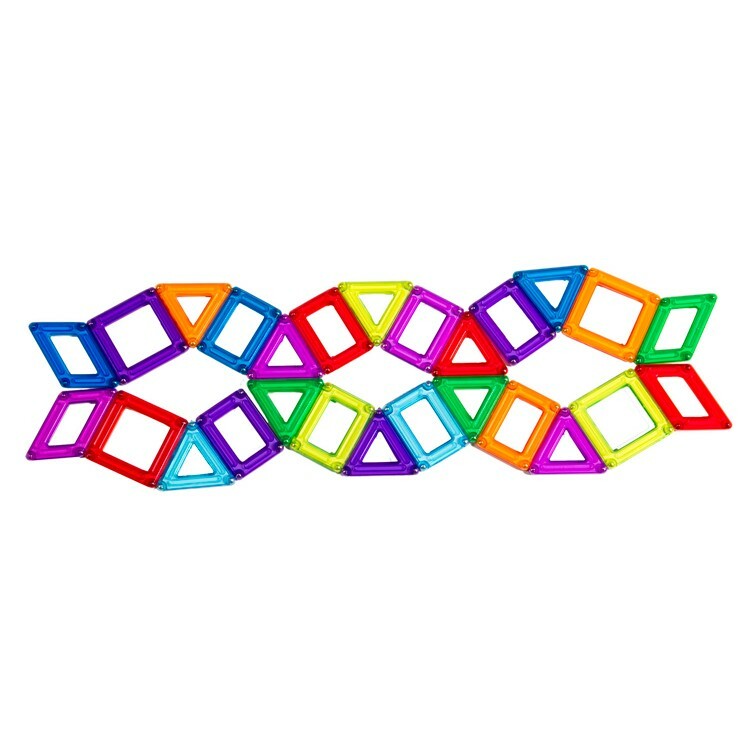 PowerClix 3D Magnetic 74 pc Building Kit features super strong magnetic connection to build bridges, buildings, geometric shapes, animals and more. 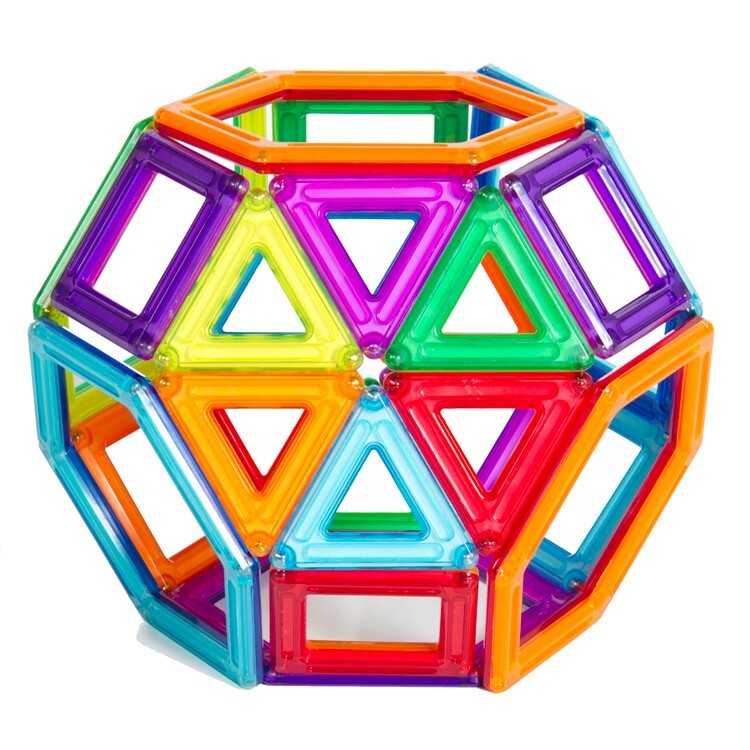 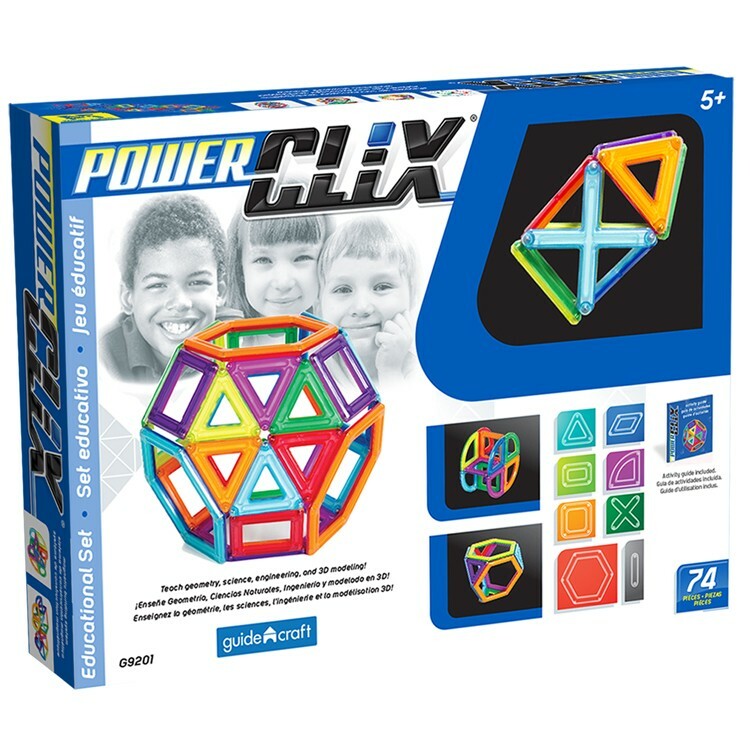 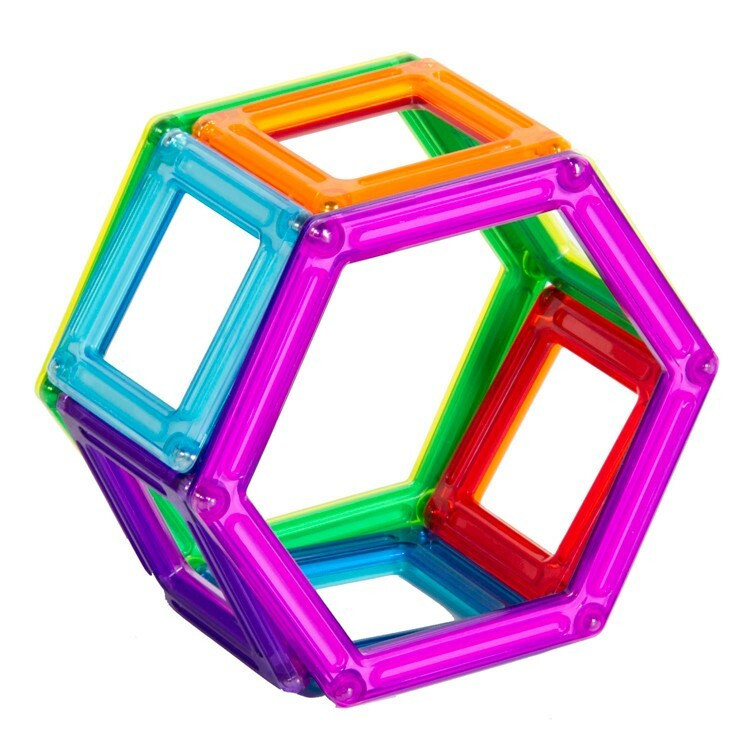 This Power Clix educational building toy from Educational Toys Planet includes 74 vivid color translucent plastic geometric shapes and extender rods to create mind-blowing constructions. The PowerClix 3D Magnetic 74 pc Building Kit includes detailed instructions on how to create a variety of magnetic models, and special patterns while teaching them the basics of science, construction and engineering. 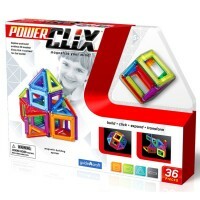 Dimensions of package 0.13" x 0.19" x 0.06"
Write your own review of PowerClix 3D Magnetic 74 pc Building Kit.